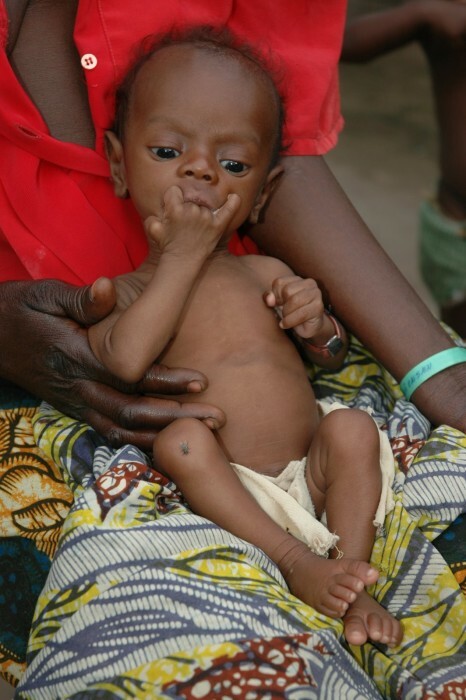 Acute malnutrition is a devastating epidemic. Worldwide, some 55 million children under the age of five suffer from acute malnutrition, 19 million of these suffer from the most serious type – severe acute malnutrition. Every year, 3.1 million children die of malnutrition. The human body needs energy and nutrients to function. If food intake is inadequate, the body begins to break down body fat and muscle, the metabolism begins to slow down, thermal regulation is disrupted, the immune system is weakened, and kidney function is impaired. Decreased food consumption, increased energy expenditure, and illness result in a poor nutritional state known as malnutrition (or undernutrition). Malnutrition is associated with increased illness and death, reduced educational achievements, productivity and economic capacity. Poverty, inequality, and malnutrition are often passed from one generation to the next. Malnutrition manifests itself in the form of micronutrient deficiencies, stunting (also known as chronic malnutrition), and/or acute malnutrition. Acute malnutrition is caused by a decrease in food consumption and/or illness resulting in sudden weight loss or oedema.